Do Players Have Too Much Power at Chelsea? It’s fair to say that Chelsea have fallen behind their rivals in the last couple of years. From 2004-2016, Chelsea’s run of sustained trophies and success was incredible. And frankly, it wasn’t appreciated enough (but that’s for another day). But those days are long gone. Although the trophies haven’t completely dried out, Chelsea are very clearly on the decline. They’re no longer challenging for titles, instead, they are left fighting for a top 4 spot. They’re nowhere near competing for the Champions League and haven’t been for some time now. In fact, they haven’t made a Champions League quarterfinal since the 2013/2014 season. A horrible record for a club of Chelsea’s stature. The main reason for all these issues is player power. Chelsea are no stranger to managerial change, as owner Roman Abramovich is known for pulling the managerial trigger very prematurely at times. However, the issues that plague the club now have been there since the start of Roman’s takeover in 2004. The only difference is, Chelsea’s squad isn’t good enough anymore to sustain this cycle of managerial turnover. From 2004 to 2010, Chelsea boasted some of the best players in Europe. Lampard, Terry, Drogba, Cech, Cole, Ballack, the list goes on. These were world class players who would slot into any side in Europe. So when Roman decided to sack a manager, there were no issues. The players were good enough to back up their talk, and they consistently delivered trophies. That’s all changed. How many world-class players do Chelsea currently have? Hazard and Kante? It’s a shocking decline. From numerous world beaters to only two superstars. So now let’s look at player power. In this aspect, nothing has changed. The dressing room is full of big personalities (Willian, Luiz, Alonso, Cahill, etc. ), just like the old days. The problem arises when the players decide they don’t want to play for the manager anymore (in this case Sarri). They’re just not good enough anymore to back up their talk. A new manager will come in, they’ll get on a good run of form, then decide 6 months later that they’re bored, and the cycle will continue. It’s a disgrace that the players feel that Sarri’s training methods are “too complicated”. Are you kidding me? It’s a player’s job to carry out the manager’s tactics, not throw a tantrum because you don’t agree with his style. This toxic environment needs to change in order for Chelsea to return to the top of Europe. Maurizio Sarri was hired with a dream in mind; to take Chelsea back to the top of Europe playing beautiful, expansive football. That dream will never come to fruition if the squad isn’t overhauled, and the manager isn’t backed. Not to say Sarri isn’t somewhat at fault though, as he does persist with horrid players like Willian, Barkley, and Alonso over Hudson-Odoi, Loftus-Cheek, and Emerson. Then again, if Sarri chooses to drop these aforementioned players, then he might face the axe. He’ll lose the dressing room and he’ll be out of a job by next year. 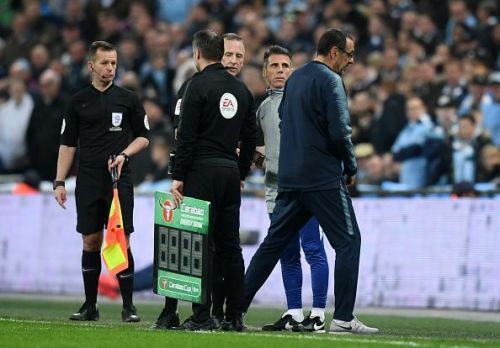 So really, Sarri is in quite a predicament. The solution? Keep Hazard and overhaul the squad. 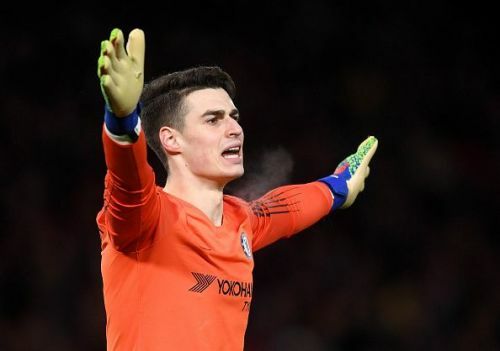 (Yes, I know a transfer ban is looming, but reports suggest it will most likely get appealed meaning Chelsea have this summer to make reinforcements). It’s a huge ask to keep both players, but it’s the bare minimum that Chelsea need to do this summer. Chelsea need to get rid of their so-called “deadwood” and start trusting their own. Players like Hudson-Odoi, Loftus-Cheek, and Christensen are all ready to start. They can look to the transfer market for a few other positions (RB, LB, ST) and they should be in good shape. In just one summer, Chelsea can escape the thunderstorm that’s currently looming over the club. However, a poor summer can mean they fall even further back, which would be the absolute last thing this club needs. Needless to say, this upcoming summer is undeniably crucial in determining the future of Chelsea. I know, I get it. Some of you will say I’m a lunatic and that I’m wearing rose-tinted glasses. But, what I’m proposing isn’t completely out of order. It’s just what any rational club would do (then again, Chelsea are known as being the complete opposite of rational). Overall, it’s very doable. Sarri needs to be backed instead of the players. We’re all tired of the same players throwing their toys out the pram every time they don’t get their way. There will be setbacks and adversity, but the end result will be worth it. Give Sarri the squad he wants, and the success will come. Trust the process. What does the future have in store for Chelsea?